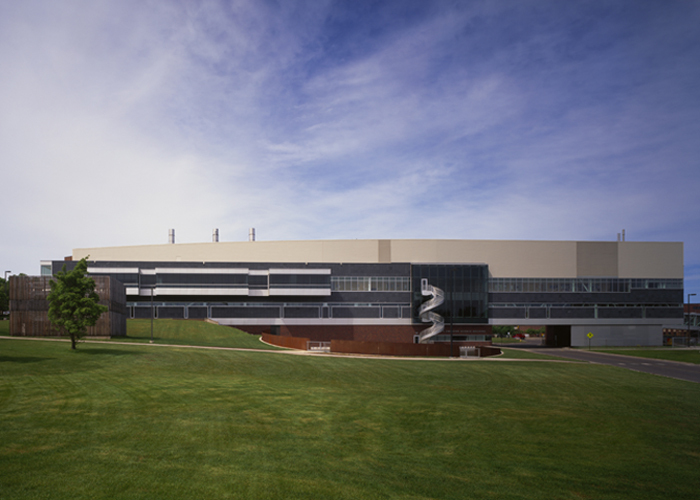 This new 110,000 square foot lab/classroom building on the Duluth campus of the University of Minnesota provides facilities for the chemistry, fresh water research, and biology departments. 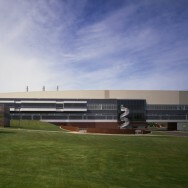 Major structural features are a forty-foot-high light collecting element set in an atrium at the intersection of the research and labs areas and the structure’s span of an adjacent campus street. The building’s main framing system is diagonally-braced structural steel, supporting composite slab. Exterior walls are steel stud with brick and taconite stone veneer. Read more about this project and its use of long-span steel trusses in “Structuring Science,” Modern Steel Construction, August, 2007.